X-BIONIC is the future of sustainable sportswear and clothing that can withstand even the most difficult conditions. By applying a scientific approach, X-BIONIC has researched, developed and manufactured products to maintain and improve performances no matter the level or environment. X-BIONIC has redefined the world of outdoor leisure clothing and continues to fine tune to perfection every item of clothing it produces. 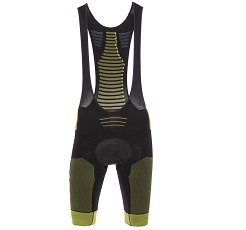 On the Bikester.co.uk website, choose from a selection of their top products, including X-BIONIC jerseys, cycling shorts, bib shorts, jackets and running gear and get ready to take your performance to a new level. X-BIONIC is a Swiss brand that has created clothing for cycling, outdoor sports and running since 2000. Since then, X-BIONIC has redefined the world of advanced sportswear. Each streamlined product features a sophisticated design that fully integrates with the body and its environment. By applying a scientific approach, X-BIONIC has developed products that combine biology and innovative technology to ensure that the customer experiences remarkable benefits. By studying and learning from nature and then combining both components, X-BIONIC investigates and develops pioneering innovations and technology that helps athletes from beginner level to professional attain their goals. In the short time that X-BIONIC has been active, it has won several awards, such as the 2018 Reddot Award for “outstanding design quality, innovation, functionality, ergonomics and environmental compatibility”, the Plus X Award for the most “Innovative Brand” and “Best Product of the Year” in 2017 and the Swiss Innovation Award in 2014 (among many others). All of the products are researched and developed in Switzerland and then manufactured by carefully chosen partners using the highest quality materials in their state-of-the-art lab in Italy.